As members of the special counsel's team say they're frustrated with the limited information Attorney General William Barr has provided, President Trump takes to social media to renew his attacks on the investigation. Revelations that special counsel Robert Mueller III’s still-confidential report may contain damaging information about President Trump ignited a fresh round of political fighting on Thursday, ushering in a new phase of the nearly two-year battle over the Russia probe. Members of Mueller’s team have told associates they are frustrated with the limited information that Attorney General William Barr has provided about their investigation into Russian interference in the 2016 election and whether Trump sought to obstruct justice, according to multiple people familiar with the matter. While Barr concluded the special counsel’s evidence was not sufficient to prove that the president obstructed justice, some of Mueller’s investigators have said their findings on obstruction were alarming and significant, said one person with knowledge of their thinking. Some on the special counsel’s team were also frustrated that summaries they had prepared for different sections of the report – with the view that they could be made public fairly quickly – were not released by Barr, two people familiar with the matter said. Barr has pledged as much transparency as the law and Justice Department policies allow, but House Judiciary Committee Chairman Jerrold Nadler, D-N.Y., cited “troubling press reports” in a letter Thursday calling for Barr to “immediately release to the public any ‘summaries’ contained in the report that may have been prepared by the Special Counsel.” Nadler also asked Barr to turn over to the committee “all communications” between the Justice Department and Mueller’s office related to the report. The political debate over the minimal information released so far about Mueller’s lengthy report seems to have led to cracks in the special counsel’s notoriously disciplined and tight-lipped team. The displeasure among some who worked on the closely held inquiry has begun to surface in the days since Barr released a four-page letter to Congress on March 24 describing what he said were the principal conclusions of Mueller’s report. Though Trump’s assertion was incorrect – Mueller pointedly did not reach any conclusion on obstruction, for example – he and his allies began wielding Barr’s summary as a political cudgel to dismiss not just Mueller’s work but any future investigations into the president’s conduct. However, the news that Mueller’s full report could contain unflattering revelations about the president and his behavior has created a potential political problem for the White House and Trump’s re-election campaign. Two officials familiar with the matter added that the summaries the Mueller team had prepared were intended to be ready for public consumption in a timely manner, because the redactions could have been done fairly quickly. “The work would have spoken for itself,” one of the officials said. Justice Department officials disputed that characterization, saying the summaries contained sensitive information that will likely require redaction. House Speaker Nancy Pelosi, D-Calif., on Thursday revived her demand that Barr release Mueller’s report and tied it in spirit to a Democratic request to the Treasury Department for six years of Trump’s tax returns. 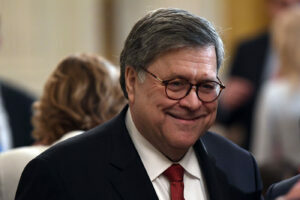 Part of the difficulty for Barr, according to several current and former law enforcement officials, is that he is trying to follow Justice regulations that were written in the wake of Ken Starr’s investigation of President Bill Clinton, with an eye toward limiting the amount of information that can be made public. Trump attorney Rudy Giuliani said the frustrations on Mueller’s team were coming from “disgruntled” staffers. During nearly two years of work, Mueller’s team – which included 19 lawyers and roughly 40 FBI agents, analysts and other professional staff – worked in near silence, speaking only rarely through public documents filed in court. The fact that some have been confiding in recent days to associates is a sign of the level of their distress. Their frustrations come as polls show many Americans have already drawn conclusions about the special counsel findings – even though only a handful of words from the report have so far been released.